An Amazon brand - Fun's just the beginning with A for Awesome's bright and colorful kids wear. A collection made to be lived in, our mix-and-match styles are super-soft, playful, and built to last. So bring on the grass stains and growth spurts - A for Awesome is ready for anything. Machine-washable and effortless, our clever styles make life easy and fun for kids (and parents, too). Our brand features sizes Small, Medium, Large, X-Large and is for boys and girls ages 4-14. Fabric is soft and easy to care for. Simple, casual and fun. Perfect for your wonderful summer daily wear, vacation, party play, photo-taking. 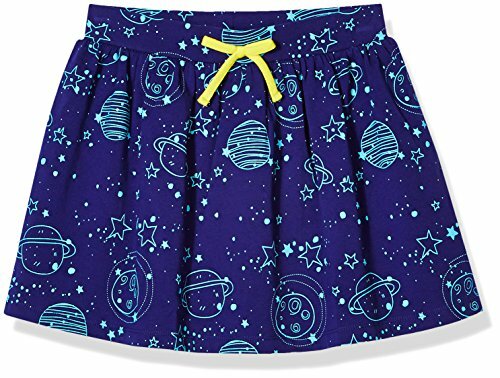 Length (Waist to bottom hem in INCH) - XS: 10", S: 11", M: 13", L: 14", XL: 15"
If you have any questions about this product by A for Awesome, contact us by completing and submitting the form below. If you are looking for a specif part number, please include it with your message.